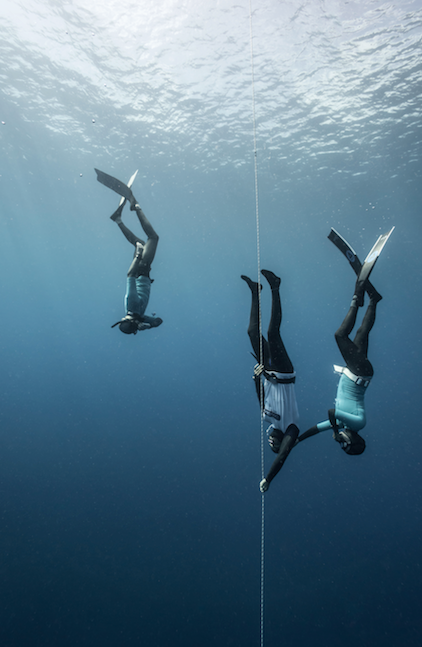 Breathhold diving - freediving - awakens an ancient, innate wisdom held deep within our genetic coding, that of the Mammalian Dive Reflex. This reflex means that we can survive submerged in water, without breath, for much longer that we believe should be possible. Our bodies are designed to be in water. Through this process we learn to connect with and begin to trust, a deeper wisdom, beyond our intellect, which can guide and sustain us. It is the perfect antidote to the stress of our modern lives. The first level of training encompasses five days of training in Dahab. In groups of maximum three students you will work directly with Sara, supported by at least one other coach, as you are guided each morning through a programme of lectures and exercises, and are invited to perceive yourself in a new way, both in relation to society and in relation to your current image of self. We are currently offering our Axia Future Human Potential Training during the Thanksgiving long weekend - only three places are available. In order to secure your place in this training please select the Deposit option for Nov-Dec-19 in the dropdown box below. Your balance will be due one month before arrival. You are responsible for organising your own travel to Sharm el Sheikh airport arriving on or before the evening of Wednesday 27th November. The course will run from 10am on Thursday 28th, finishing around 5pm on Monday 2nd December. Flights are available with Egypt Air via Cairo, and with Turkish and Pegasus Airlines via Istanbul.